Tuazon’s sculptural constructions of wood, concrete or steel border on architecture. 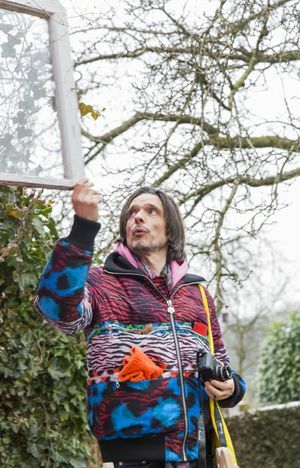 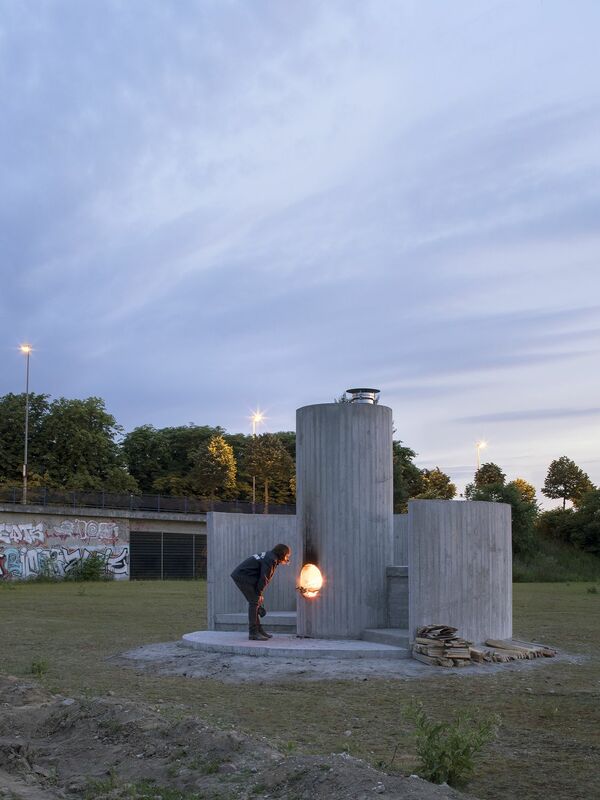 They emerge from his process of exploring the conditions of the exhibition context and the nature of temporary outdoor structures. 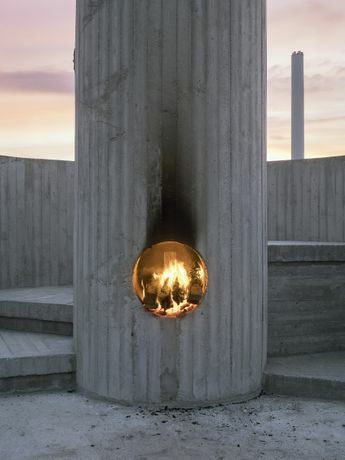 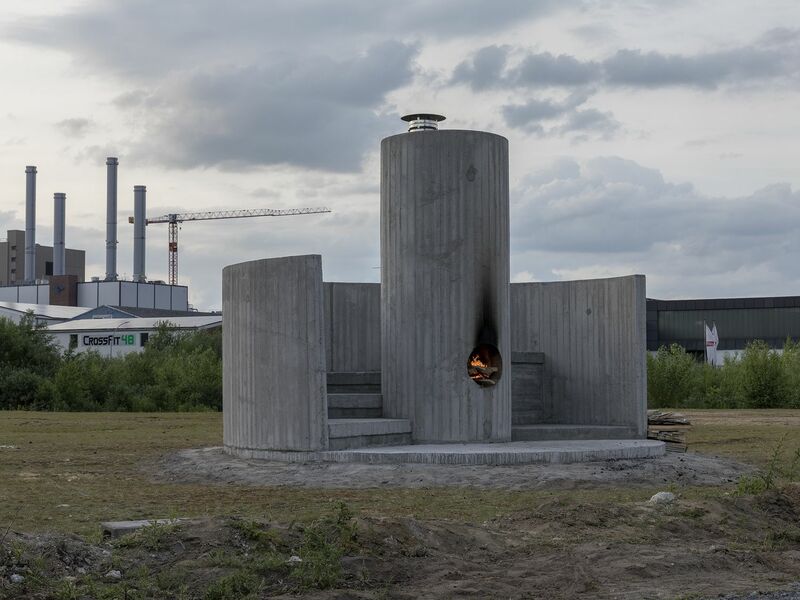 On an abandoned industrial site on the canal he has set up a cylindrical concrete object that serves as a public fireplace, barbecue grill, outdoor heater and lookout tower.